Mobile platforms: spoilt for choice, but are they enterprise ready? Choosing an enterprise-class mobile platform is becoming increasingly difficult as the line between consumer devices and business devices blurs. IT departments are coming under pressure from end-users demanding to use their feature-rich personal smartphones to access corporate systems, instead of the company supported device. They have the added complexity of supporting several alternative mobile operating systems. Managing mobile users is a key requirement for IT departments. They provide remote access for laptop PC users using devices like RSA tokens and encryption to prevent unauthorised access to corporate systems. However, IT departments have been reluctant to support mobile phones, which are increasingly offering the basic connectivity and collaboration that used to require a laptop PC. The one device that has been accepted wholeheartedly by IT departments is Research in Motion's Blackberry. 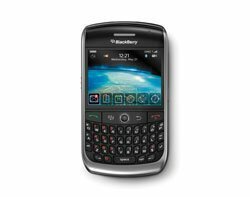 Rim would argue that the Blackberry has been designed for corporate IT and is easy to manage remotely. Forrester Research says the Blackberry Enterprise Server (BES) is the gold standard for mobile device control. The latest BES 5.0 software, which was released last week, offers improvements in manageability, high availability and through an add-on called Blackberry MVS Server, office calls can be routed to the device automatically. But Blackberry is not the latest "must have" handheld. It seems the public cannot get enough of Apple's iPhone. "The iPhone's intuitive interface, superior browsing experience, and rapidly evolving developer toolkit make content-centric applications far more appealing on an iPhone than on a Blackberry," says Ted Schadler, vice-president at Forrester Research. "End-users vote for freedom by purchasing iPhones over company-supplied devices." Business people have been buying the iPhone for personal use, but IT has been reluctant to support it in the business. Compared to the Blackberry, management and guaranteed message delivery tools for the iPhone are still weak - a deal-breaker for some, especially for those in regulated industries, says Schadler. Access to Microsoft's propriety e-mail server, Microsoft Exchange, is another problem area for iPhone users. Until Apple and Microsoft figure out how to make Exchange calendar synchronisation work for both Exchange 2003 and Exchange 2007, Forrester Research recommends IT directors introduce a "buyer beware" policy if employees want to use their iPhone to schedule or change meetings. There is a third contender. With hundreds of millions of phones in circulation it is hard to ignore the impact of Nokia. The 6-Series Nokia handset is a de facto standard for corporate mobile handsets. But apart from procurement and selecting a mobile price plan, IT departments have treated Nokia handsets as mobile phones, rather than fully-functional mobile computing devices. This may be set to change. Applications have existed for the Symbian operating system used on Nokia handsets for some time, but experts argue that they have been difficult to find. The mobile phone maker has now introduced OVI, an online shop similar to the Apple AppStore, which may boost downloads of Nokia phone applications. There are yet more options for IT departments to consider. Along with Blackberry, iPhone and Nokia, Google's Android is making rapid in-roads into the mobile platform market. Microsoft's Windows Mobile platform is also gaining momentum, with specialist software houses and system integrators building mobile enterprise applications based on Microsoft-powered mobile hardware. With so much choice, Forrester Research urges IT directors to consider giving employees the freedom to choose the mobile tools they want. Schadler says, "If an iPhone makes an employee happy, then supporting it will deliver collateral benefits of a happier workforce and a new line of communication between IT and employees." And, if end-users are happy to buy and maintain their own smartphones, IT directors may find they have one less thing to worry about.